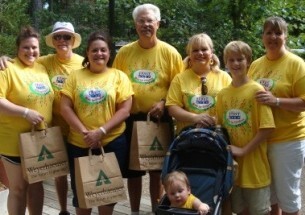 Community News affiliated with Arkansas Best Insurance Agency, Inc.
ABI Insurance Agency participates in many community activities. 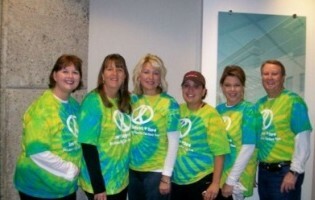 Some of these activities include fundraising for First Step, United Way and Susan G. Komen Race For the Cure. Many of our staff play active roles in the improvement of our local school districts from being members of the school board to monetary donations. 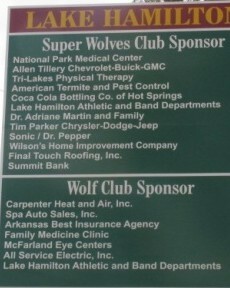 We are also members of the Hot Springs Chamber of Commerce, Bryant Chamber of Commerce and Professional Insurance Association (PIA). 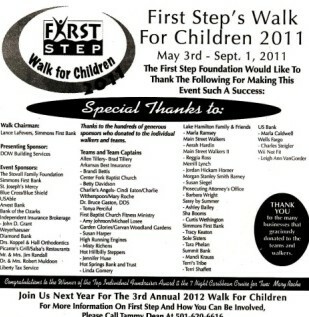 First Step's Walk fundraiser - May 3rd - Sept. 1 2011. 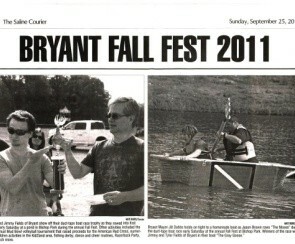 Jason Brown our Hot Springs Village branch manager and Chairman of the Bryant Fall Fest is pictured here (right) paddling his homemade duct-tape boat with Bryant Mayor Jill Dabbs in the Bryant Fall Fest. 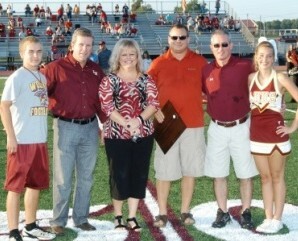 Lake Hamilton football field dedication. September 2010. 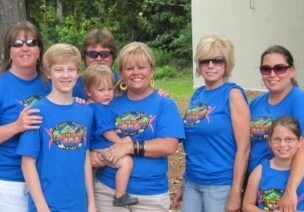 Susan G. Komen Race for the Cure. October 2009. 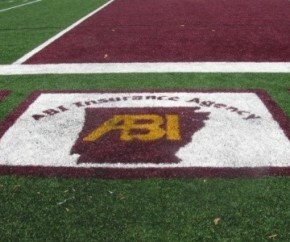 May 2012, Arkansas Best Insurance was proud to receive the honor of one of Arkansas' top ten agencies with Auto-Owners Insurance. 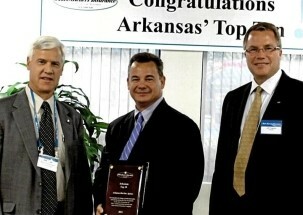 Pictured left to right: Jim Baes, Regional Vice President of Auto-Owners Insurance, Michael Lipton, President of Arkansas Best Insurance, and Jeff Tagsold, President of Auto-Owners Insurance.